The Occult has long been viewed as evil, black magic and taboo, but the term Occult simply means hidden from sight. Mark Passio, a former Satanist Priest, began demystifying the occult after he realized that the powers that should not be, have used this hidden knowledge to enslave the masses. We literally accept slavery as freedom, an illusion, because we can not see reality for what it is. An illusionist uses distraction and slight of hand to produce an event which appears to be one thing, when it is actually another. They may make a rabbit come out of a hat, or they may pull flowers from seemingly no where. Are the laws of Nature some how abrogated by the illusionist? No, they simply offer a pretext of belief, which bypasses the conscious mind so as to compel the observer to believe that the illusion is real. After close inspection, any illusion can be seen for what it is; the manipulation of nature to achieve a desired effect. This is all magic really is, which we discussed deeply in the post Magic and Ritual Decoded | The Science of Ritual Magic in Theory and Practice. Magic and the occult, to the ignorant and unaware, appears to be fantastic and supernatural; even as evil. To the wise and aware, those who have taken the time to learn and understand the truth, it is merely science, or a Nature’s technology. What is hidden, can only remain hidden, if it is never searched for. The powers that should not be know this all to well, and do their best to distract and dissuade us from looking. As a result, we never gain knowledge about the true powers of nature, which we are a part of, and is our birth right. 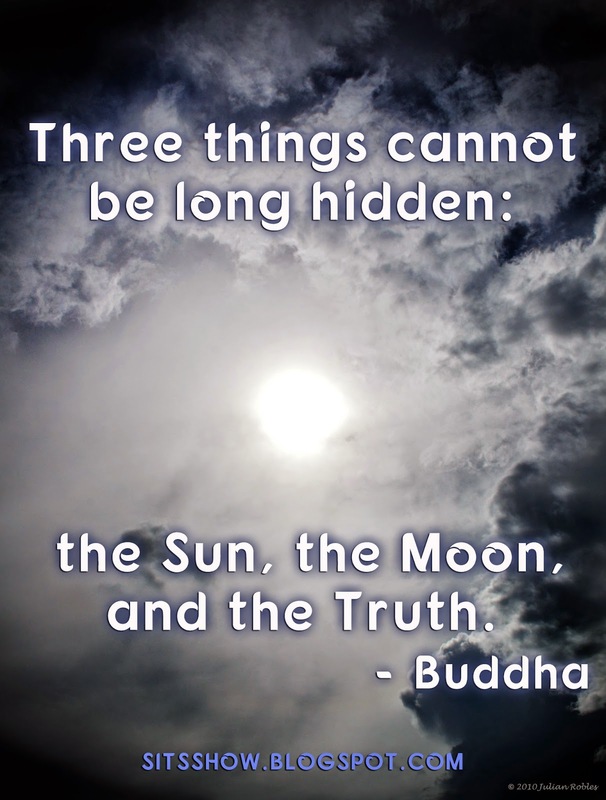 The truth can set us free, if we seek it, understand it completely and are brave enough to honor it in our actions. As we discussed in the post How the Cabal Maintains Their Power And What You Need To Do To Stop It – Un-Consent, our choice of ignorance, to not seek the truth, comes at a heavy price; our freedom. The cabal need humanity to remain ignorant and incompetent to stay in power, this gives them a mandate from the people (implied consent by inaction, and acquiescence) to enslave humanity. And the tools or technology they use to do this is the knowledge Mark describes below. Simply put, occult knowledge, the knowledge that is hidden from humanity, is true knowledge of who we are, where we came from, and how the universe and ourselves work. It is the timeless, ancient knowledge of existence itself. It is what the scientist searches for, the religionist has faith in, and are the rules of the game the cabal use against us. Do you think it’s possible to become a painter without knowledge? Do you think it’s possible to learn a language without dedication to understand the symbols? Do you think it is possible to build a house without skills? Of course not. As such, humanity can never hope to regain freedom by remaining ignorant of occulted knowledge. We must gain knowledge of reality in order to master it and ourselves, and in doing so becoming the competent, honorable and harmonious people we were always meant to be. The search for truth is an act of bravery in and of itself, because gaining knowledge transforms us. The ego, our sense of self, is a product of our accepted beliefs and knowledge. Hence, the search for truth will shatter any false beliefs we have about ourselves and the world; if we go all the way. And it is the false beliefs of the cabal, the illusions we accept as real, that dupe us into destroying ourselves, the planet and the future for our children. As such, de-mystifying the occult, is akin to pulling back the curtain on the illusionist, we can now see the illusion for what it is. We become more deception proof as the truth is reflected in us, and we regain the competence of mind to refuse the offer of slavery from the cabal. The keys to our liberation lay all around us, hidden in plain sight, waiting for us to step into adulthood and begin walking the path of truth, self mastery and true freedom. 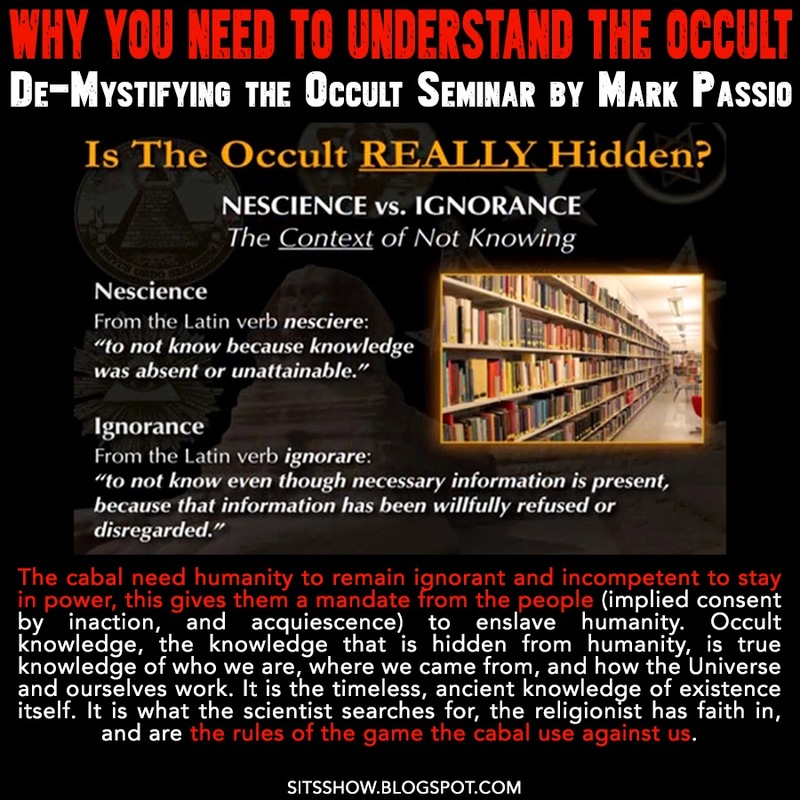 This article was originally published on SITSShow.BlogSpot.com under the title “Why You NEED To Understand the Occult | De-Mystifying the Occult Seminar – The Nature of Sacred Symbolism and Hidden Knowledge by Mark Passio”. I think rather the less sensational and Hollywood movie horror show meaning which you espouse is the original meaning of occult as west as in the orient = east and occult = west, nothing being deliberately hidden in this definition, its simple not there = night , if the earth is turned to its opposite hemisphere for the day.